2. 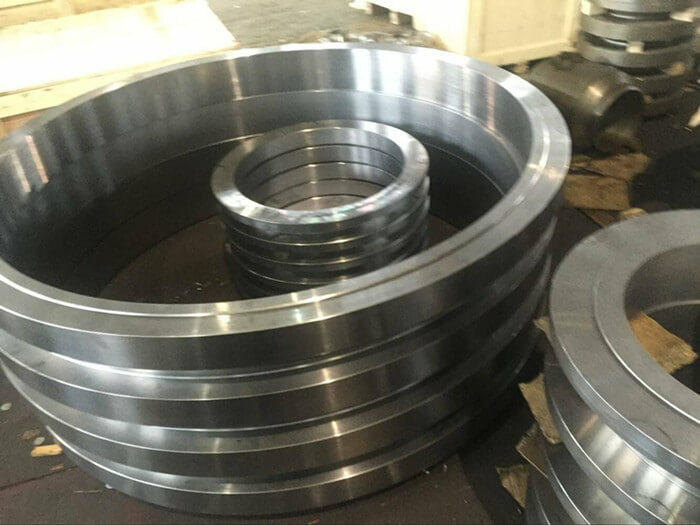 Size: 1/2" - 80"
A Ring Flange is a specialized pipe-joining flange that makes use of a compressible ring to ensure a secure seal. The ring may be made of a variety of materials, including various grades of rubber, fiber packings, and metals. When tensioned, the ring is located in a shallow groove cut into the face of flange plates. 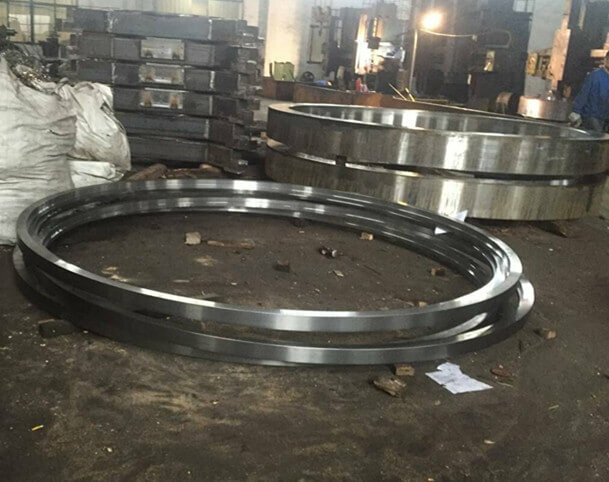 Prior to tensioning, the ring sits slightly proud of the plate faces and is compressed during tensioning of the joint to allow the flange faces to meet. Ring flange sets are available in a number of different designs, including various metal welded types and plastic loose and screw-on flanges.